Maybe it was because I was gone for a week in December but it doesn't feel like Christmas is just a week away! The mall somehow doesn't seem crazy enough although last night at a store I overheard a lady comment to her husband that there wasn't much on the shelves. She was really right! 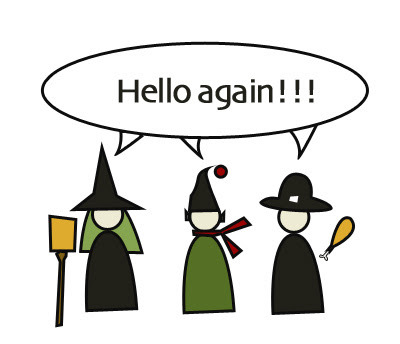 I just got back from three weeks of vacation. The last week was spent in Miami and I'll work on getting the pictures up from the fabulous trip. I had no idea what to expect going in and was really pleasantly surprised. So much art! This first set is from South Beach (which is actually a different city than Miami). 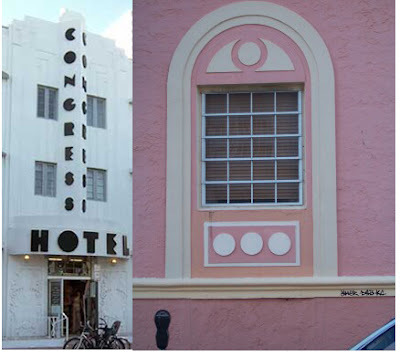 I had sort of expected the worst from South Beach (snooty beautiful people) but instead felt very comfortable walking around in casual shorts and staring mouth agape at all the FANTASTIC art deco architecture. 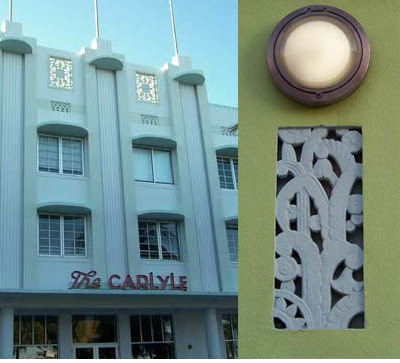 If you like deco, GO TO SOUTH BEACH! 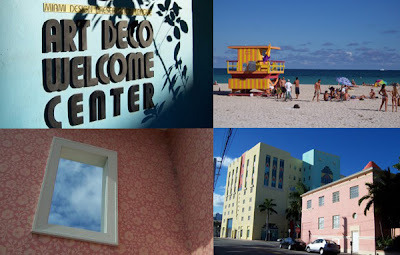 All of the above images (accept the one under the "Art Deco Welcome Center") are from South Beach. How can people not be friendly living amid such bright colors? 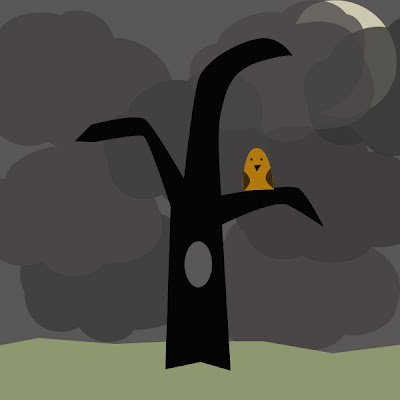 I'm on vacation (have been, continue to be:) but take a look at an animation I've been working on. Happy Holidays! 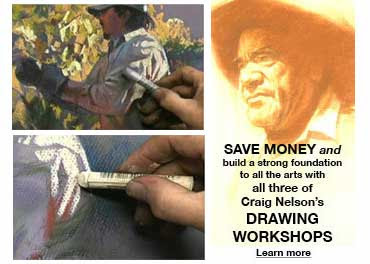 $5 off Drawing Gesture in Charcoal & Pastel. 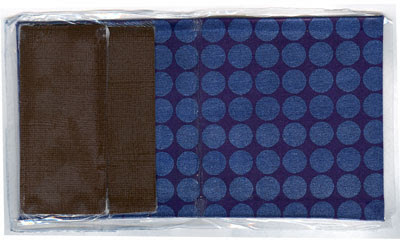 Sale ends at the end of this week! Congratulations to David N. Kitler! I get to meet some really fantastic people at work and it's always really cool to see them win the awards and accolades they so deserve. 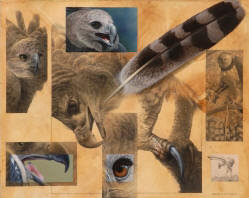 I'm really happy to be able to send off warm congratulations to wildlife artist David N. Kitler who was awarded first place in Artist's Magazine's The Year's Best Art (December 2007) for his "Harpy Eagle Montage." His piece is a combination of graphite and acrylic on a toned board. David camped out for three weeks under a harpy nest in the Panama jungle observing and drawing their every move. He has since been a guest lecturer at the Cornell School of Ornithology as a harpy 'expert'. 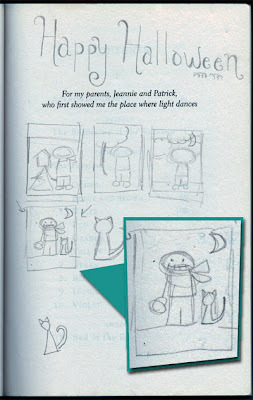 When David was with us at Creative Catalyst Productions, he taught two workshops: basic drawing and also acrylic. The drawing workshop, "Draw with Confidence: from Basic to Brilliant" is available and the acrylic will be released next year. I edited "Drawing with Confidence" and it is amazing to watch David work. He knows his subject matter so well and he takes the time and has the patience to render such life like animals that you have to remind yourself that animals don't actually come in graphite color. 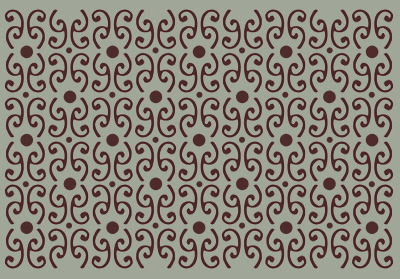 Learn how to create a festive table runner or wall decoration. Yes, I am having a little bit of trouble letting Halloween go. (Does it show?) I promise I'll be done after posting these final two graphics. OK Thanksgiving. I'm now ready to accept you. 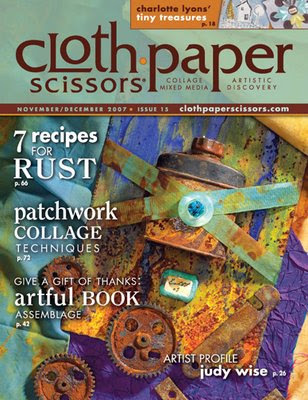 Check out the latest "Craft, Paper, Scissors" magazine and you'll find Lesley Riley is the cover girl! I'm a little late in saying, but Congratulations Lesley! There is something about monotyping that seems like the perfect autumn activity to me. 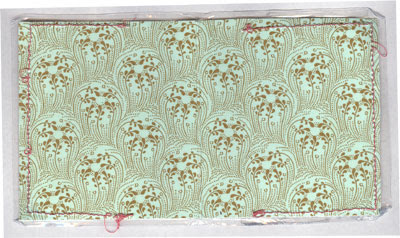 Make a warm cup of tea, ink up a plate and spend an afternoon with brushes and stencils and unlimited possibility. I knew nothing about monotpying before Julia and Gayle Ayres walked into the CCP studio. After 4 days with this mother-daughter team I felt a whole world had opened up. They first teach basic techniques to get you started and walk you through several distinct projects. 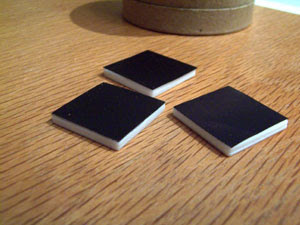 They use a water soluble paint that won't try up on you in 10 seconds but is also easy to clean up. 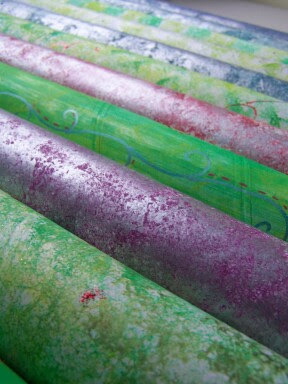 This week save $10 on their DVD, "Monotype, Painterly Printmaking." Enjoy! This is not a Creative Catalyst Production blog (that's here) but when you work for a family business, all lines blur together. I mention a lot of work issues on here because let's face it, we're at work more than we're at home. Oh and also, I sort of love what I do. 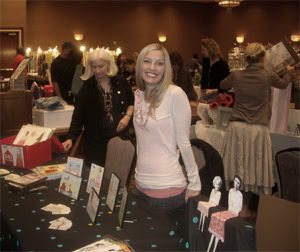 I've also realized that this blog is a more informal version of the monthly Craft Cat newsletter I put out each month for Creative Catalyst. CCP has two newsletters: one weekly and one monthly. The weekly one has sales all the time that I don't get to announce in Craft Cat because they've already come and gone by the time I hit email in boxes. There's a remedy to this: I'm going to start announcing those sales on Craft Amor. Even for people not interested in the sale itself, take a look at the artist, their gallery and their bio. It's a great way to get to know some amazing artists. 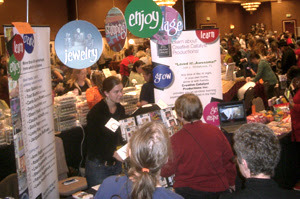 I have spent the last few weeks reediting one of the first DVD workshops CCP ever did. It's like opening a time capsule. 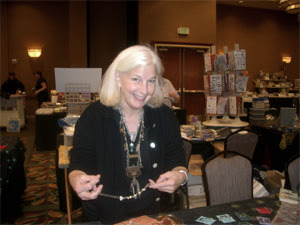 It's so fun to spend some time with Mary Todd Beam whose energy and creativity jump off the screen and beckon you to join her. 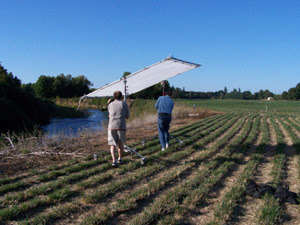 But it is one of the first DVDs CCP ever did and we've come a long way in how we shoot. Also, some of the older tapes went bad somehow and I'm working between the old finished video (which has perfect video but some editing problems) and the original footage which has damage in random places. It's been the ultimate juggling match but the result I think is a much stronger workshop. The added plus of this is that I got to go back into a second DVD Mary filmed when she was here but we never edited. Both projects will be on the new DVD and I can't wait. I have so much sugar cookie in me I think my cells are being held together by frosting. 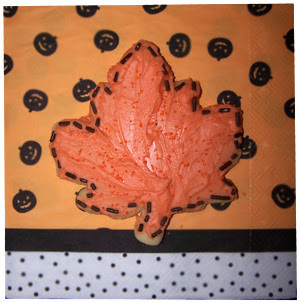 I had a cookie decorating get together yesterday. 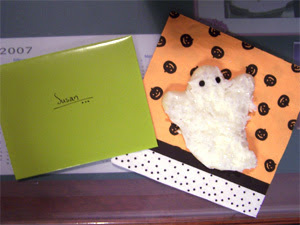 The ones I decorated (and managed not to eat) I put with cards on my co-workers' desks for Happy Halloween. The weekend was a great mix of crafting and cooking and just hanging out. More pictures and projects to come! Yesterday about this time we finally got power back in the office. I hope this isn't shades of things to come this winter! Last winter we had a few days where we were living out of a hotel and running a generator and electricity from a next door neighbor to work our mail processing machine to get out orders. (Susan was here in the dark with about 10 layers of clothing on FREEZING as she sent out DVDs.) We spent yesterday's power outage moving everything in our downstairs office (Susan's and Jim's desk plus ALL our DVD inventory and more importantly the shelves that inventory sits on) to the other side of the room. We sort of did a mirror image flip...and when I see "we" I mean the other two editors, Jim and Susan. I was sent on food runs and postage runs. Today is much calmer here at CCP and we are all completely ready for a weekend! It's been a week now since we've gotten back from Art and Soul Retreat in Portland, OR. What a blast! I remember being impressed last year and this year was no different. It still blows my mind (in a great way) that there are places where people can come together from all over the country and just be creative together. Talk art together. Do art together. Meet people who share the same passions. Such talent and spirit in one place. I kept looking at all these women-both instructors and students- and being really inspired by them. Such incredible people. 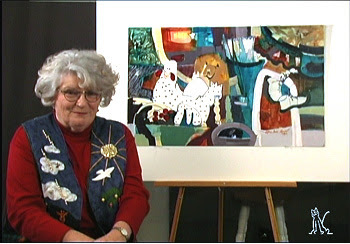 We filmed three artists: Ann Baldwin, Anne Bagby and Robert Dancik. 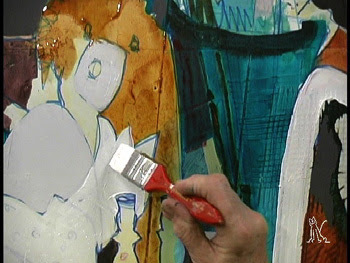 We filmed Ann Baldwin a few years ago in a live workshop. It was great to work with her in studio. She is a hilarious woman. I always learn so much from her both when I'm filming and then again when editing. She somehow makes Golden products a little less terrifying. 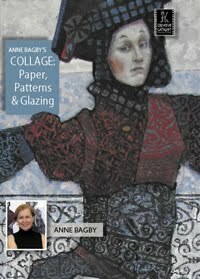 Anne Bagby does the type of art that I long to do. She stamps her own paper and then uses it in these spectacular collages. Both her and Ann Baldwin can wield Golden Fluid Acrylics like no other. Anne Bagby also employs Golden Glazes. I came home and ordered a few myself and am getting obsessive about checking my order's status. We filmed Robert Dancik on our last day and what an amazing instructor! He works with a product that he helped create called Faux Bone. 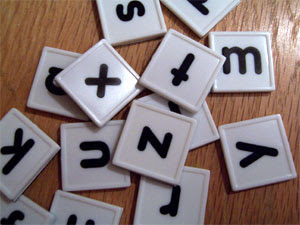 (Go to Robert's site to learn more.) Robert kept saying how easy Faux Bone was to work with and I kept thinking, "Yeah, yeah, sure." He proved my skepticism wrong. It *is* really easy to work with. It's sort of magical actually! Spending the day with each of these artists was amazing. They all did a wonderful job on camera and their DVDs will be real assets to those of us wanting to learn how to become better artists. Finally, we took part again this year in Vendor Night. Holy Moly! I LOVE vendor night. It is one of the few times I as an employee of CCP get to interact with the people who buy what I help make. It's so rewarding! I am very lucky in the fact that I'm really proud of what I do and the company I work for. I'm normally pretty shy when it comes to talking to new people. I freeze and mumble and will probably trip. But I love talking about what kind of art people are making. I love meeting the people who have CCP workshops and hear that it's really helped them. Plus, it's just seriously neat to be around that much creativity in one place! Is it too early to countdown to Art and Soul 2008? Definitely not! Countdown to Art and Soul, Portland! Is it really a countdown if you're leaving tomorrow? 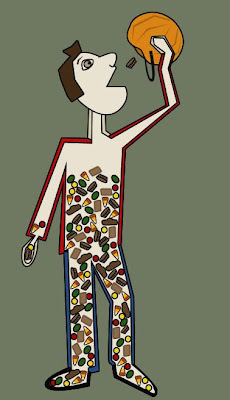 Today feels like an all and out scramble. We'll be heading to Portland's Art and Soul Retreat around 1pm tomorrow and in that Oregon is pouring right now we'll have to wait until last minute to pack everything under tarps and rope. I have contracted a head cold so one of the things I'm doing tonight (besides packing and organizing) is buying a whole row of head cold medicine and boxes of Kleenex. Let's hope for the sake of our sound editors I'm not sniffling and coughing through every video! Check back here the next few days to see the fun! 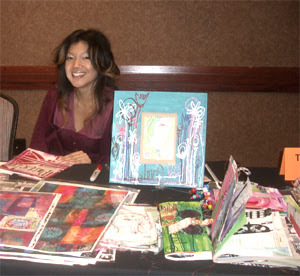 And if you're attending either the workshops themselves or the vendor night (open to the public) say hi! I never get packages at work but today I did! 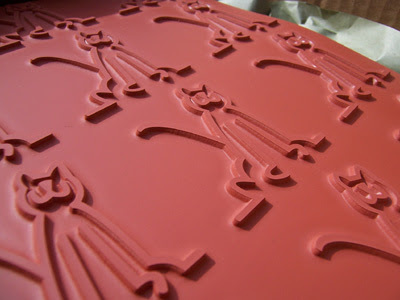 Inside 52 sheets of red rubber stamps. Guess who is spending some quality time with an exacto knife the next few nights? We're bringing these to give out to people at Portland's Art and Soul! I'm so excited! Now that I have all the pieces I'm realizing the color of my moon isn't working. I think it's too cool while everything else in the card is warm tones. I painted all the moons silver and I'm going to have to experiment with adding a little cream to the paint and see if it warms. 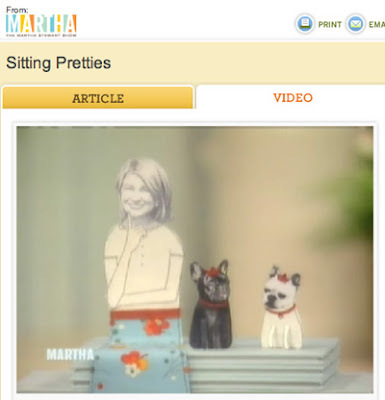 You can see Claudine Hellmuth on the Martha Stewart Show! Craig was here 4 days and was loads of fun. He's traveled all over the world and tells great stories of his adventures. Also, he's an amazing artist and teacher. 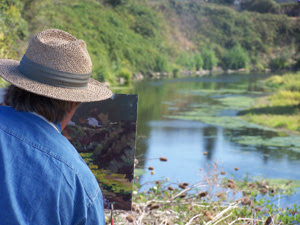 He is so comfortable teaching that he just speaks his thoughts as he paints, which is ideal for people learning to paint. He's also really easy going and flexible, which is ideal for those of us behind the cameras. We could just pipe up (and he wanted us to) and say, "I don't get this." He'd barely miss a beat and come back with some really clear and concise explanation. Excellent. I can't wait to get started editing. 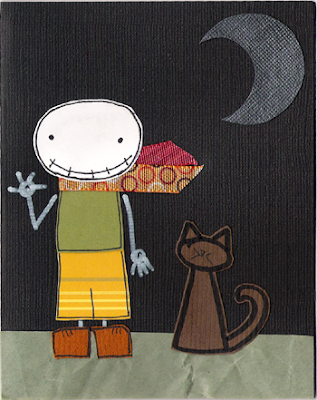 1. cut and assemble all the elements for my Halloween cards. 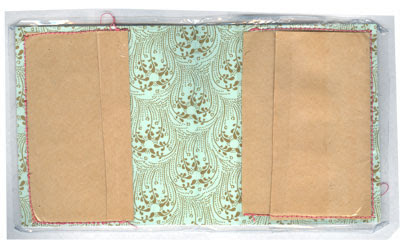 2. make a vinyl wallet that is good enough to give as a gift. 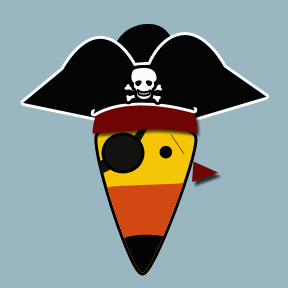 On the first front, I think I finally have a design that will work. It always amazes me how designs look a certain way in thumbnail form but then seem either empty or overworked in card form. 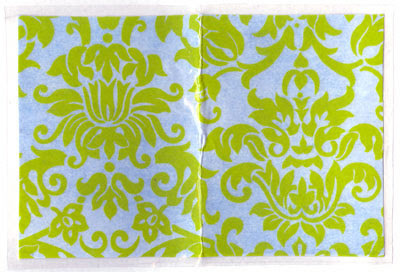 For number two, I've spent this past week trying different combinations of material and paper to make a vinyl wallet for a birthday. 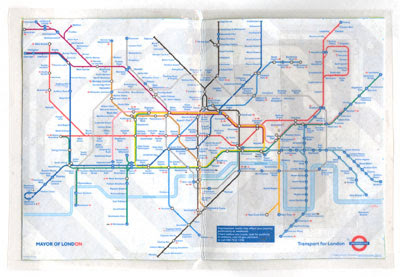 A friend of my boyfriend's and mine loves mass transit and he also had a wallet with the London Tube on it, which he loved but lost. My replacement won't have all the things in it he lost but I thought would be a fun surprise. Here are some of the tests. 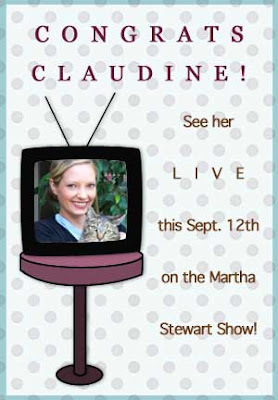 See your favorite collage artist, Claudine Hellmuth, Wednesday September 12 on the Martha Stewart Show! Claudine will film a live segment and we all can't wait to see! 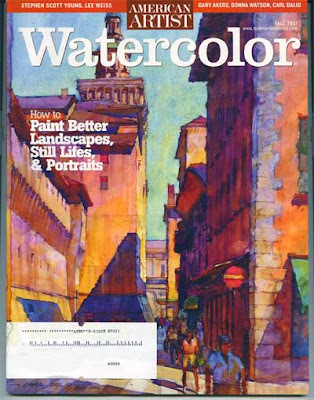 Carl Dalio has the cover of the Watercolor Magazine Fall 2007 issue. I picked it up and thought, "Wait, that is really clean color. This looks like a Dalio." And it was. It's the first time I've actually met the real life Craig. He was one of the first artists I edited when I came to Creative Catalyst Productions so it's really nice to meet the man on tape. I can't wait to get back behind a camera this afternoon. Craft Season has begun! It actually began a few days ago but the office has been crazy lately and I'm just now getting to the blog. We have an artist coming tomorrow and we will out in the middle of a field...literally. Who gets to be at work at 6:45am tomorrow morning? Oh yeah, ME. But back to Craft Season. I'm starting the preparations now so that come December 22nd I'm not crying over burnt polymer at 2am wondering how I'll ever finish the Christmas gifts. 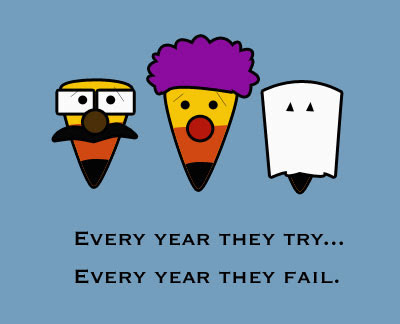 I'm hoping to actually enjoy the process this year! (And after a week of crafts after work I'm liking it already.) So bring on the fun! Craft Season has begun! 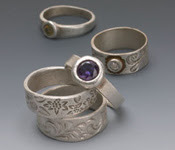 Sherri Haab just posted her fall schedule! Take a look and sign up! 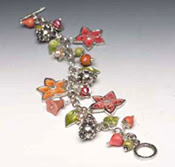 Also check out a preview of her DVD, "Precious Metal Clay Jewelry." Find Sherri at the Watson Guptill Booth or take a macrame class from Sherri through YLI corp.
Jacqueline Sullivan Pre-Sale Ending Soon! 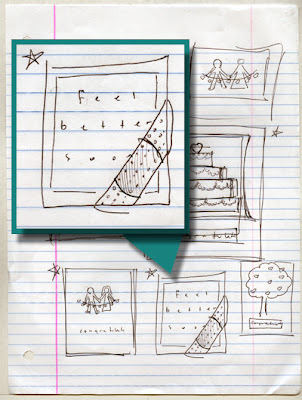 Have I mentioned I'm excited for Jacqueline Sullivan's DVD to come out? I am completely. We filmed Jacqueline at last year's Art and Soul Retreat in Portland, OR. The event itself is amazing. Amazing instructors. Amazing students. I can't say enough good things about it. We at Creative Catalyst Productions were lucky enough to spend a day with Jacqueline watching her paint and listening to how she thinks about her art. The way she explains the different Golden products made so much sense. She's clear, concise and absolutely inspiring. 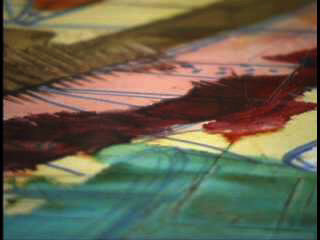 Jacqueline Sullivan's "Acrylics: Textures, Layers, and Metallics"
Jacqueline Sullivan's video is on its way! Too Soon to be Excited? 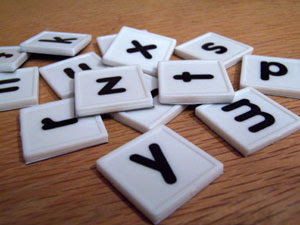 I found small 1" square plastic letters in the children's section of Staples and thought, "Hey, these could be cute magnets!" 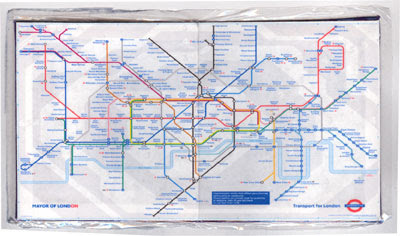 Simply adhere flat magnet sheet (the kind you can print images on) to the back of the plastic with double stick tape. 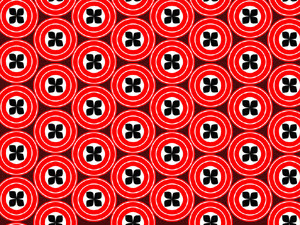 Cover the whole back side or the magnet won't be strong enough to hold.